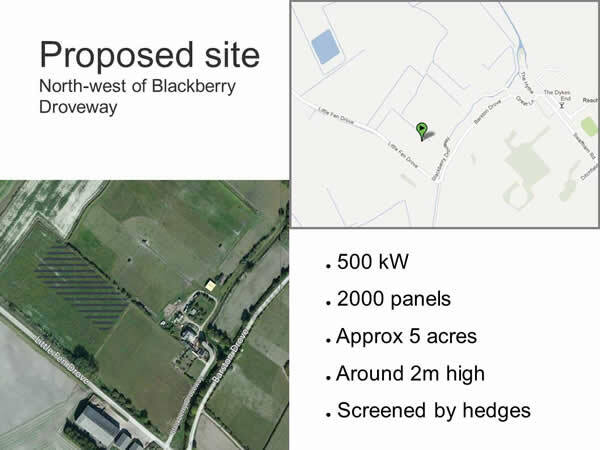 Midsummer Energy Ltd have produced a proposal for a Community Solar Farm to be established in Reach. The site is as shown in the photograph and you'll see some of the basic facts surrounding the project there also. The company gave a presentation at the recent Village Centre meeting and this can be downloaded by clicking here. There is plenty of further information on their website - just click here to access it.